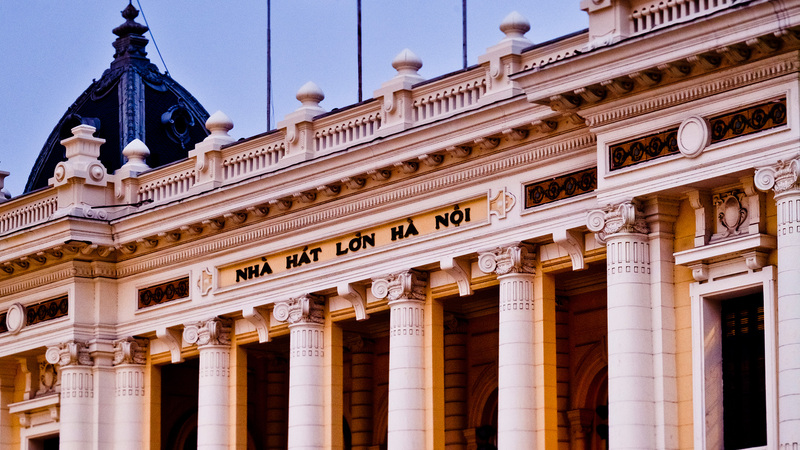 Undoubtedly, Hanoi Opera House is the most famous cultural and architectural monuments of Hanoi. 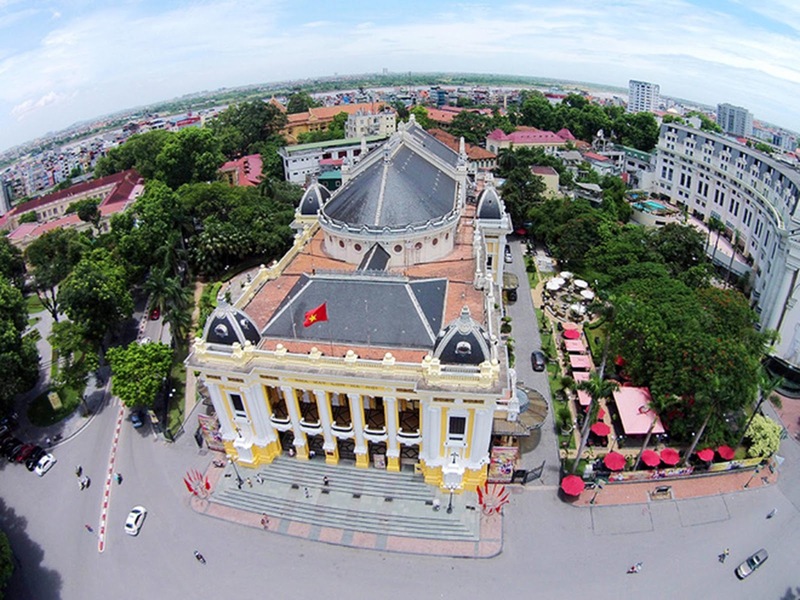 Also, it is the biggest theater in Vietnam built in 1911. There have been so many special and famous performances as well as artists performing at the House. Built by the French in 1911, and renovated in the late 1990s, this is an incredible building. Hanoi Opera House is an old theatre with French architecture and typical Gothic and Mosaic characters reflected on the door domes and the glassed room respectively. The facade is colonial French with pillars and balconies overlooking the city center. The 900-seat opera house plays host to visiting foreign performances as well as Vietnamese symphonies. The exterior is a delightful mix of French neo-classical design with shuttered windows, wrought iron balconies and tiles friezes. Hanoi Opera House is a great construction built by the French Colonialist Government during the early years of the 20th century. Harley and Broyer were designers. This design was much modified by ideas of some architects. The work was started on june, 7th, 1901, undertaken by a local supervisor - Harley Architect. Mr Travary and Savelon were in charge of the construction. The work, the peak of which is 34 meters above the ground, was carried out in a total area of 2600 square meters with the 87-meter length and 30-meter width. The designers consulted Corankta Greek ancient architecture in combination with Tuylory Castle and Opera de Paris to form a unique architecture. 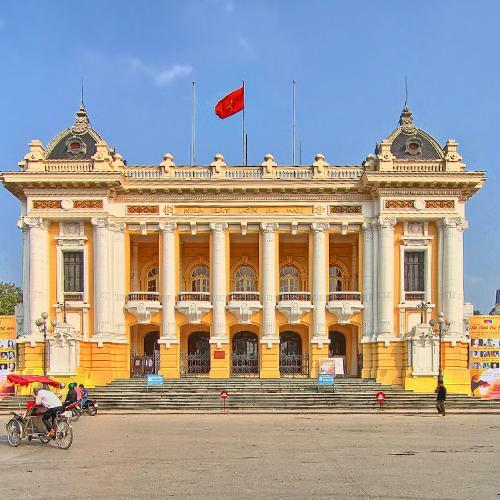 Hanoi Opera House has a great value in history, architecture as well as its use. It was a historical evidence of Vietnamese social and cultural development under French rule, a vestigefor an architectural development stage dating back to the end of the 19th and early 20th centuries in Vietnam. The theatre has seen many significant historical events associated to the August Revolution and the early years of Vietnam Democratic Republic. 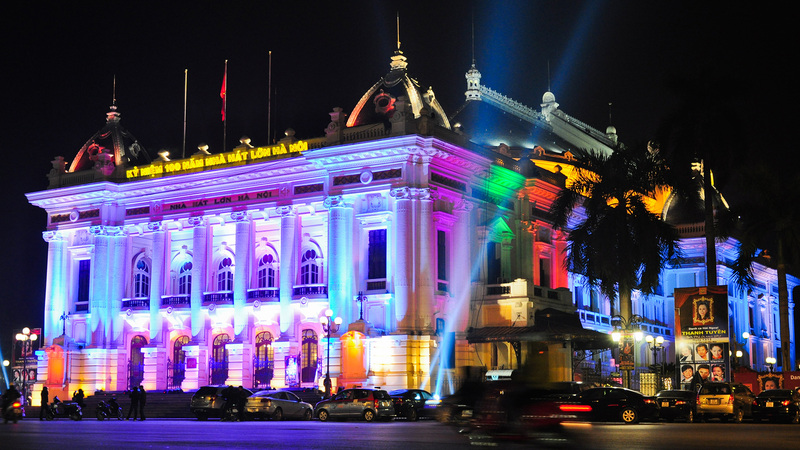 Hanoi Opera House is of the same architectural style as the Opera House in France. 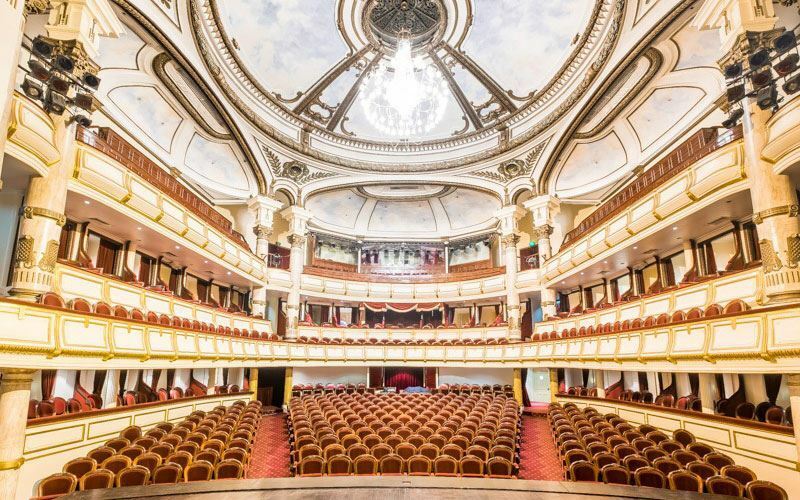 Some foreign architects said that due to being built nearly 300 years after the Paris Opera House, Hanoi Opera House avoids superfluous architectural details, which make it more magnificent and attractive. Inside the opera house are a large stage and a main audience room with a size of 24x24m, with many small rooms for audience on the central floor. The middle staircase leads to a large Hall on the second floor. The sub-staircase and corridors are located in both sides. At the back of the Opera House is a management chamber consisting of 18 make-up rooms, 2 rooms for voice training, 1 library and 1 meeting room. Facing the stairs is a magnificent mirror room on the second floor. Opera house has been so far a typical, large-scaled art showing place, wherein party state meetings and international conferences are held. It is considered a cultural work with the best value in Vietnam, a unique architectural work with great historical, cultural, architectural and fine-art value, a unique works in urban area as well as in the capital city. The theatre has been equipped with state-of-art facilities and appliances, compatible for all types of artistic performances, from folk music and songs, ballets and piano to classical opera, reformed opera, Vietnamese operetta and drama, all made great impressions on the audience. 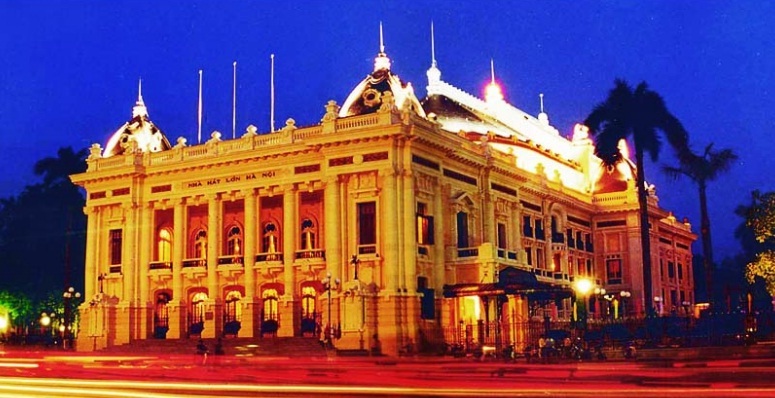 Hanoi Opera House has also successfully organized many large-scale international concerts. From the outside of the Opera House, you will see a big house with special and unique architecture which was built under the style of France. The Opera House is the place where takes place a lot of events including local Vietnamese opera, traditional opera, traditional folk music, ballets and many international concerts. Also, this is the place that had invited many famous artists performing in the House such as: Violonist Hilary Hahn, the cellist Yo – Yo Ma, the pianist Wolfgang Glemser and the conductor Gudri Emilsson. In addition, the House also has annual performances of Toyota Concert and Hennessy Classical Concert. These are international scale performances and attract a lot of concern every year. Over the years, there have been some changes and revamping to the architecture of the House. 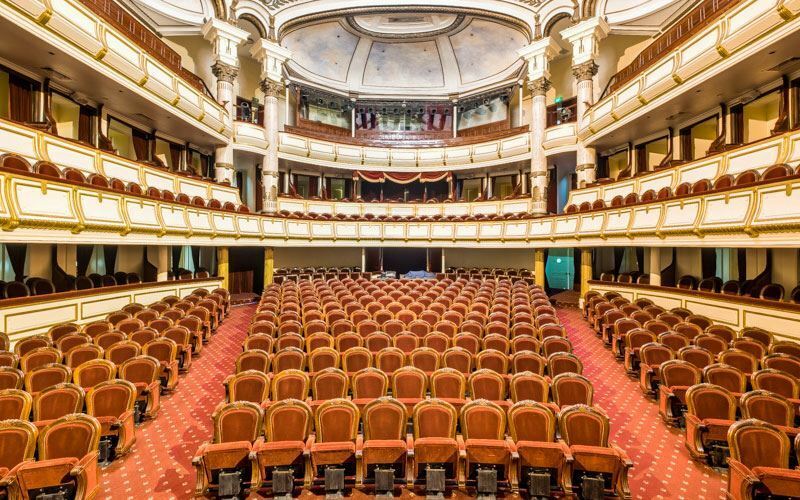 Therefore, you will have a chance to admire the special architecture as well as enjoy the interesting and professional performance when coming Hanoi Opera House. Let’s once come to enjoy a performance at the House and admire its unique architecture. You will plan to come back in another time.